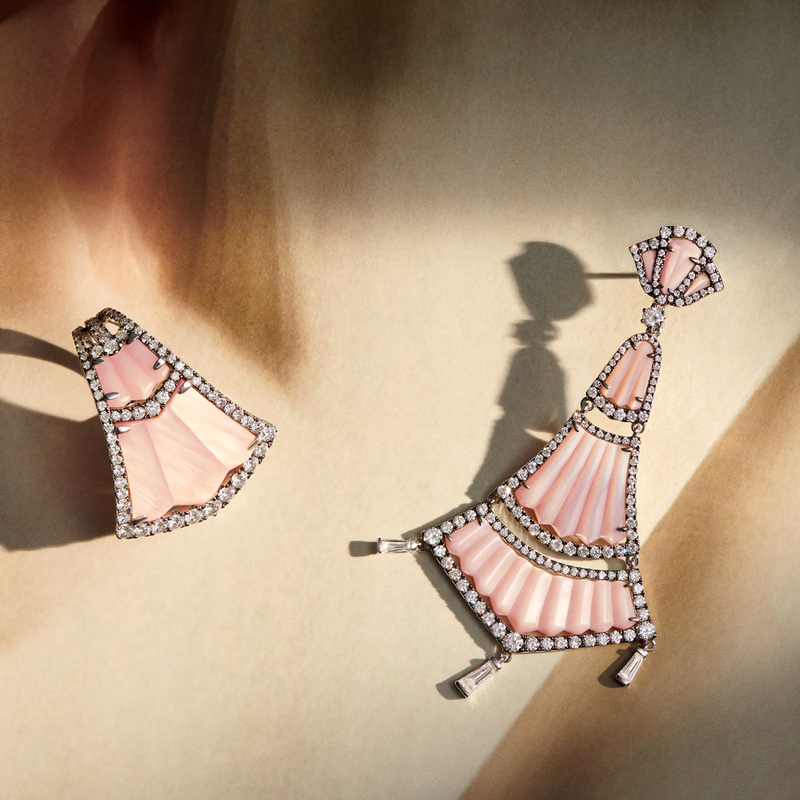 Start a collection with Annoushka’s iconic one-of-a-kind and limited edition pieces. 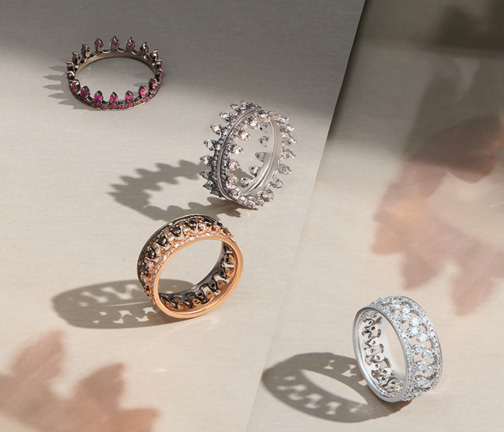 Discover the hand carved craftsmanship of our Dream Catcher and Flamenco collections, or add stacks of sparkle with the Gozitan lace inspired Crown rings. 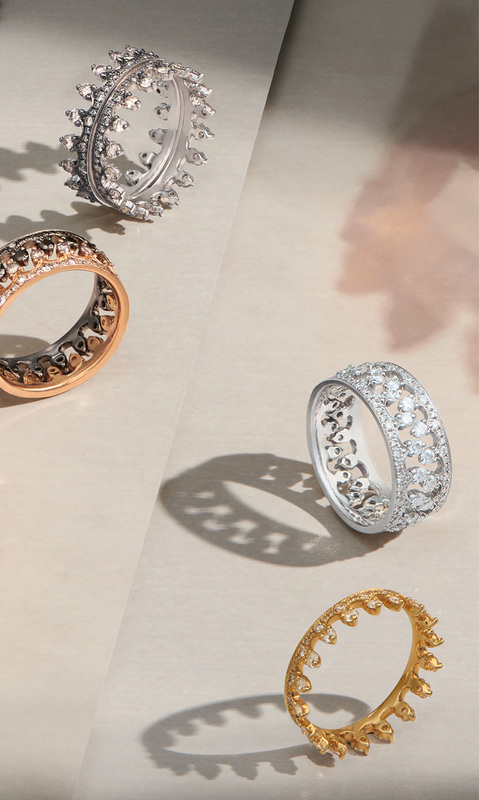 Each design is impeccably hand set with diamonds and reflects a moment in time. 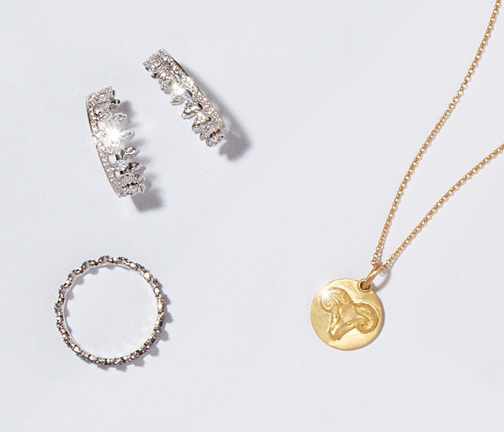 Capture a memory with the symbolic Mythology charms and pendants and treasure that moment for a lifetime. 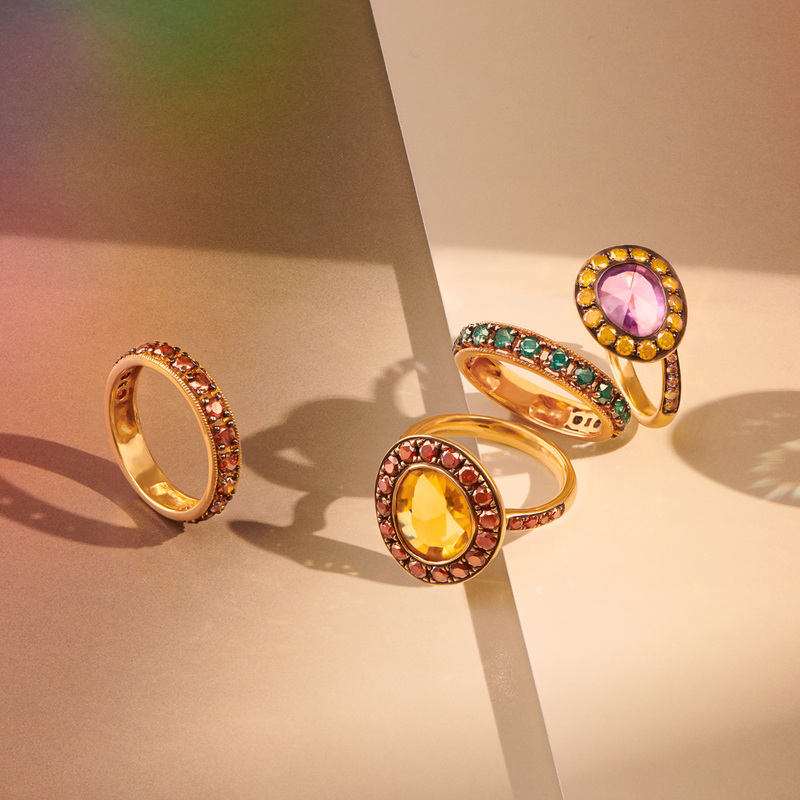 Revel in one of nature's most enduring talismans, perfected in 18 carat gold and gorgeous, characterful stones. 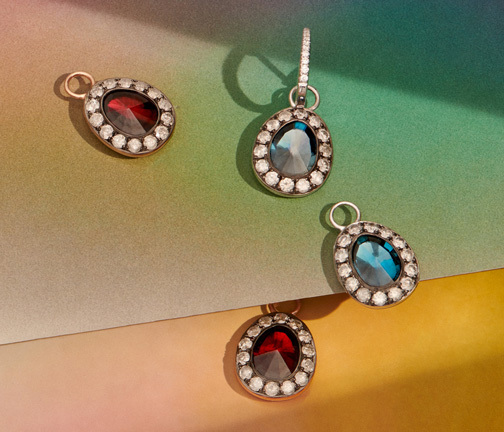 Choose whatever you fancy with the elegant coloured Dusty Diamonds collection, inspired by vintage sweets. 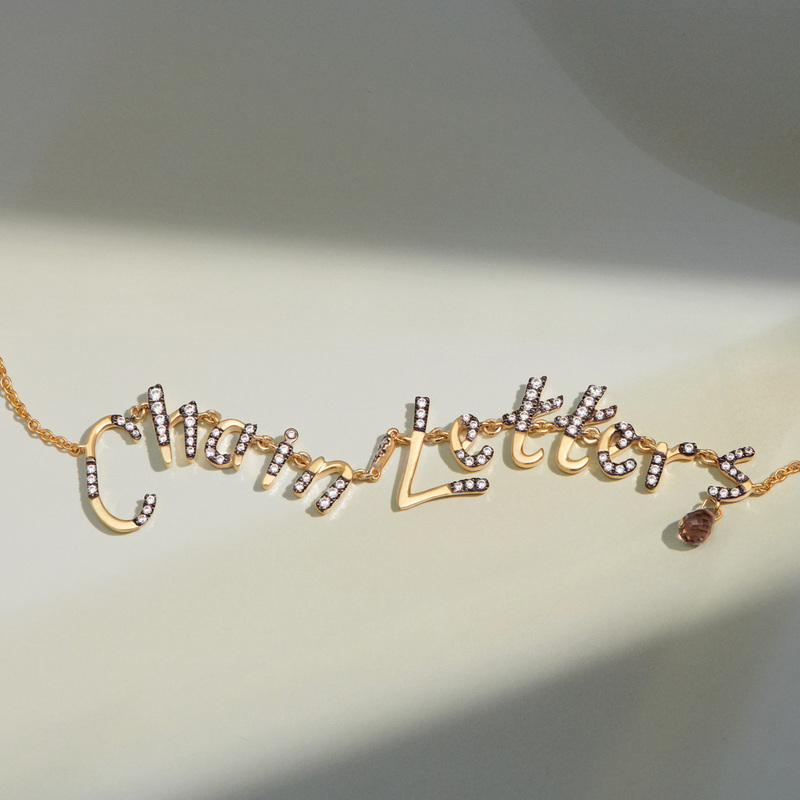 A witty, unconventional take on the traditional idea of the charm bracelet. A collaboration between Annoushka & The Vampire's Wife. 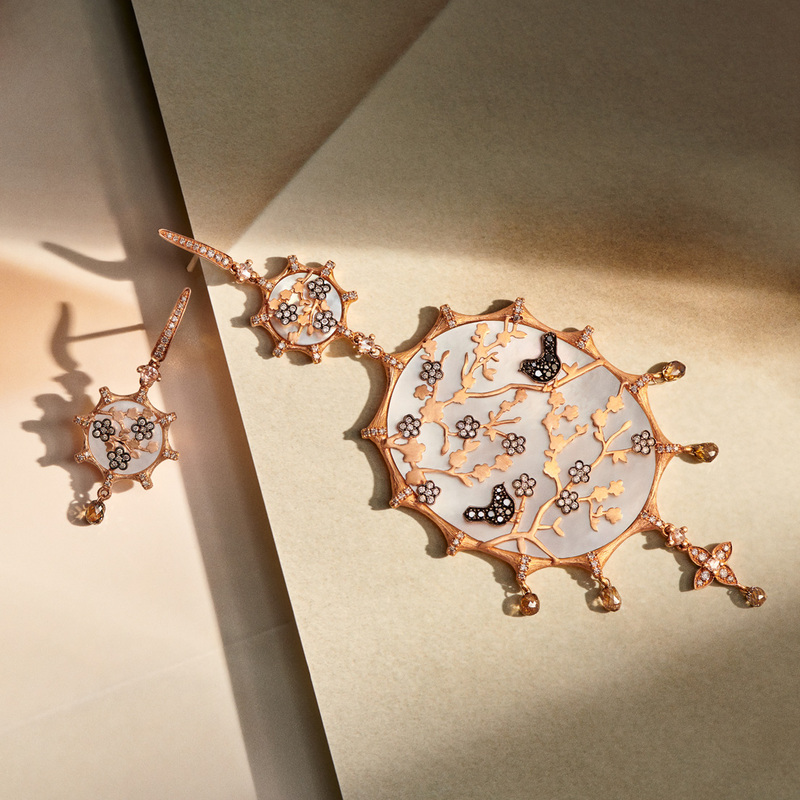 Transform evil spirits and fears into 18ct rose gold, mother of pearl and diamonds. The original Crown ring. Elegant when worn alone, unforgettable as an interlaced stack. 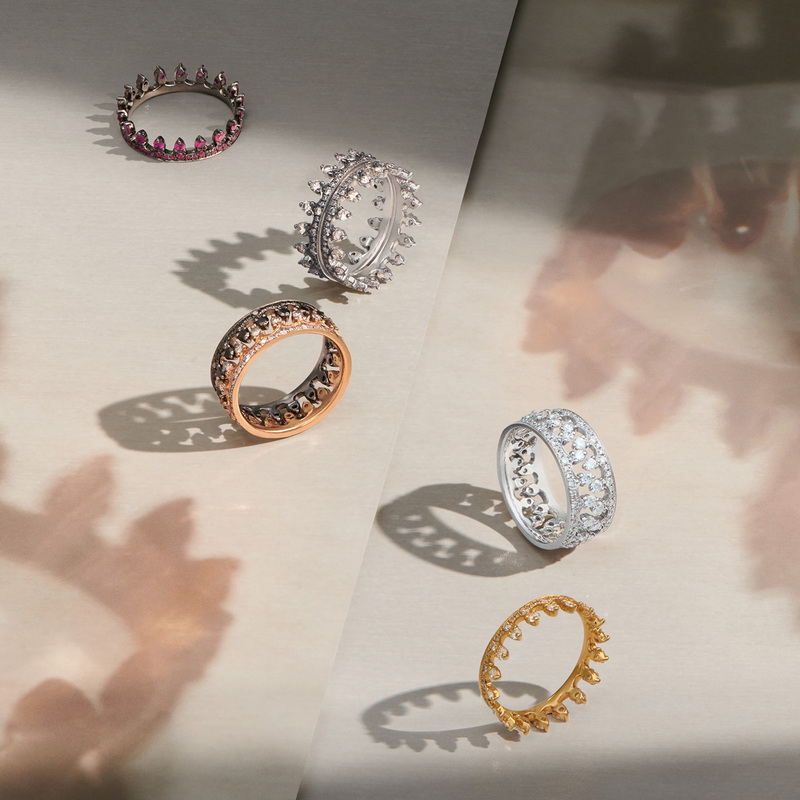 Hoopla was inspired by Annoushka's love of nature and her love of mixing metals. 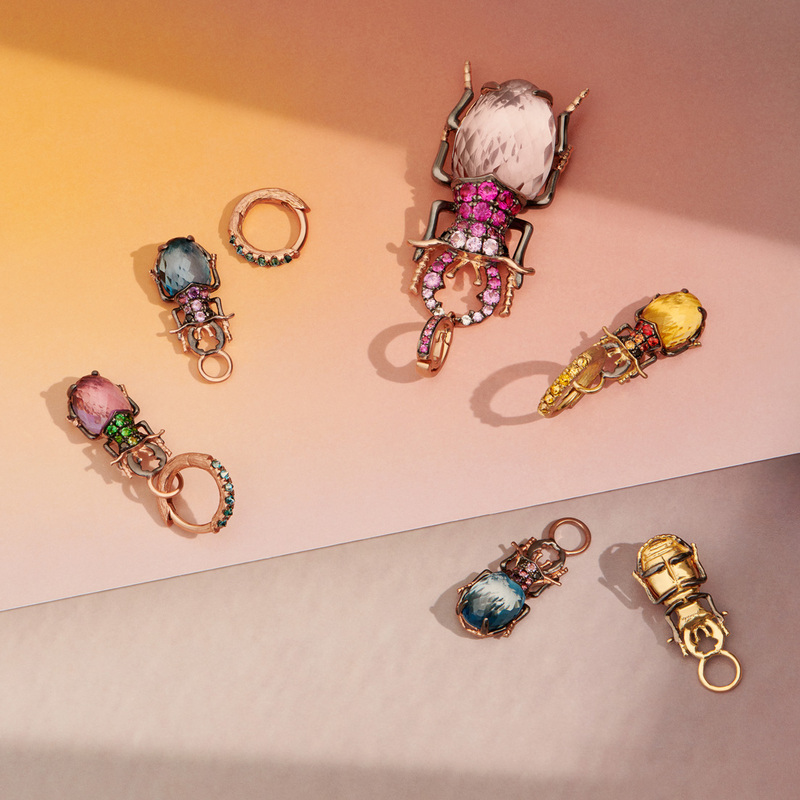 The possibilities with this playful collection are limitless. 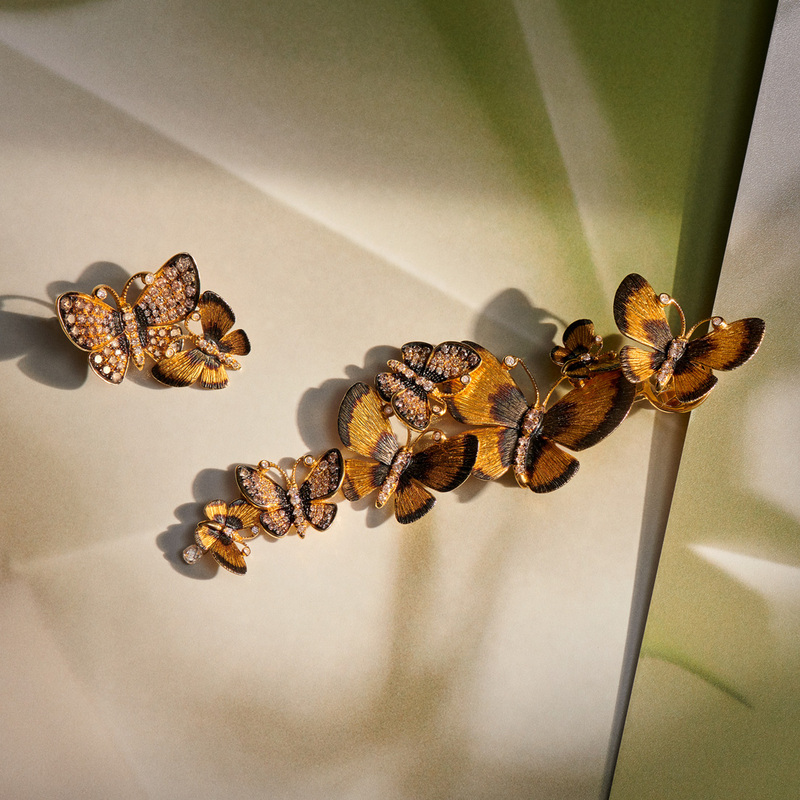 An ornate collection of hand painted 18ct gold and diamonds, inspired by the fleeting moment when a butterfly settles. Diamond embellished Russian domes inspired by the tradition of cultures 'touching wood' as an instinct to protect and symbolise hope. Immortalise any word, phrase or name in gold & diamond lettering. 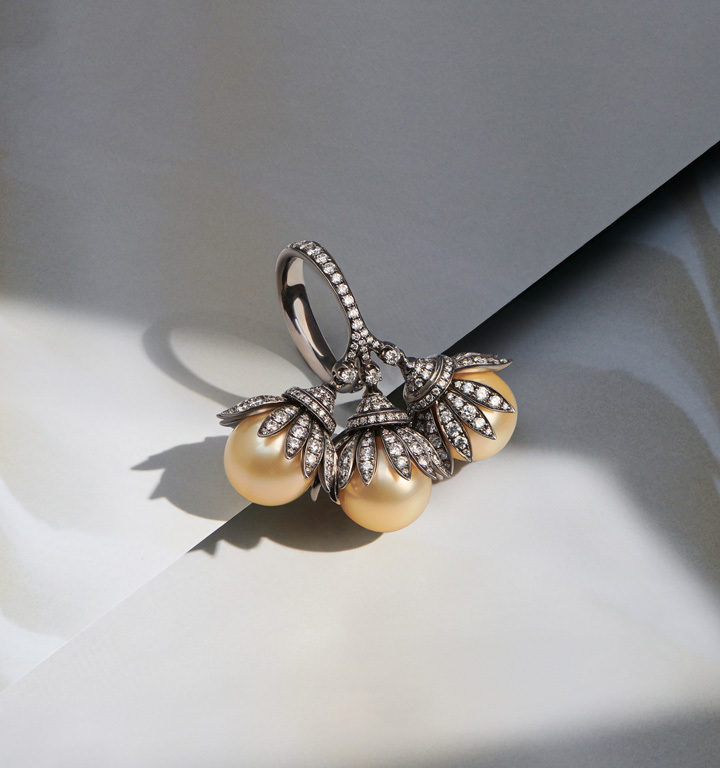 Opulent sea pearls sourced responsibly from the Philippines and encased in articulated diamond leaves. 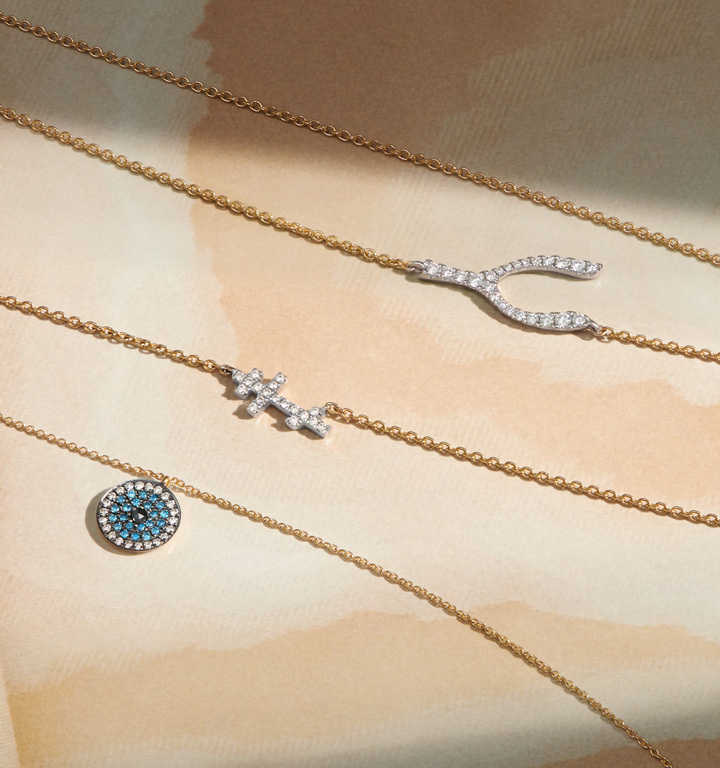 Delicate, symbolic jewellery to be worn everyday. 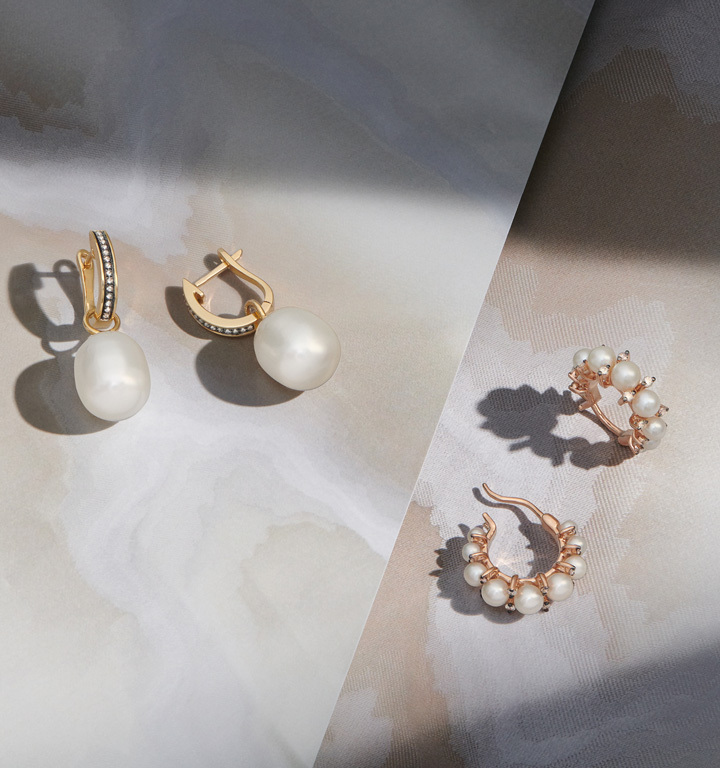 Our best selling signature baroque freshwater pearls with a royal following.